Progress means different things to different people depending on the goal that they are working towards. Since this is Gymaholic’s ultimate progress guide, we will cover the two most popular goals of losing weight and gaining weight. Many factors apply to both losing weight and gaining muscle mass, and sometimes, people want to accomplish both. With progression, you’re changing the body’s composition. The key to progression is clearly a slow change. If change happens too fast, your body may trigger responses that are meant to protect you from overworking yourself. When that happens you will have a much harder time progressing because your body is fighting against you, so those triggers are your biggest obstacle. There are a number of ways to speed up the process without triggering those survival mechanisms. Ultimately, to progress the fastest, you need to treat your body properly. A healthy, happy body can make more drastic changes go a lot smoother. Achieving a healthy body depends a lot on what you put in your it, and how well you take care of it’s basic needs. The very first tip should come as no surprise, which is drinking more water. Our bodies can be up to 75% water, which is quite a lot! You may have heard the term ‘water weight’, and because of that, you may think that drinking more water would increase your water weight, right? Wrong! Drinking water is essential to our survival. Think of a camel. Camels store water and fat in their bodies because they don’t get enough of it in their diet. When you drink enough water your digestive system and kidneys can be flushed out more regularly. Everything runs smoothly, and with regular high water intake, your body is less likely to store it unnecessarily. Water moves in the body based on something called osmosis. Osmosis is a type of concentration movement. Sounds confusing, but let me explain. You have a container separated into two sections with a wall in between, and that wall has small little holes in it. if you pour water in one side, it will automatically begin to move through the wall to get to the other side. The higher concentration of water will move to the lower concentration of water until they both have the same amount of water, then the movement will stop. Easy enough, right? Though sodium is essential for many functions in the body, many people consume much more sodium than they actually need. All the sodium you consume is absorbed into the blood, and when you consume a lot of sodium, it affects osmosis. When the blood is high in sodium, water will move towards the high concentration of sodium in order to dilute it. This creates a higher volume of blood in the body, which means high blood pressure. High blood pressure is bad and stressful to your heart. Fibre is found in complex carbohydrates (starches), and though it is not essential and we can not process it, fibre has many benefits to the body. Similar to how drinking more water cleans out your kidneys, fibre cleans out your intestines and makes everything run a lot smoother. It lowers cholesterol and blood sugar, reduces the risk of colon cancer and helps to control appetite. When your digestion and metabolism are in tip top shape, you’ll find it easier to lose or gain the weight you want. Supplements are only necessary when there is a struggle to reach your specific macros or if you are missing some key nutrients in your diet. Protein powder is one of the most frequently used which is fine as long as you need it to reach a goal protein intake. It’s often expensive and if you don’t need it, you body rarely uses the excess. With vitamins and minerals, the best thing to do is take a multivitamin suited to your age and gender group. Taking a whole bunch of different individual supplements for different vitamins is not only tedious, but puts you at more risk of side effects when consuming larger amounts of specific nutrients. Fish Oil is also recommended often because of the many positive effects it has on the body, and due to the fact that very few people get enough animal sourced omega-3 fatty acids in their diets. Insulin is a big factor in both weight loss and muscle building because high insulin encourages muscle building and low insulin encourages fat loss. Insulin is highest when you eat, so eating 45 minutes to an hour before you go to the gym will properly fuel you for a workout. If you extend that time to 2+ hours, insulin levels will be much lower and therefore you will experience more fat burning when exercising. For muscle builders, eating right after your workout is essential to building bigger, stronger muscles and quick repair. Within a half hour after your workout is the best time. For those who want to lose fat, wait a bit longer, at least an hour or more, before you eat again. Sometimes workouts can keep your metabolism running faster and hotter for a couple of hours after you’ve finished, so consuming a meal and spiking your insulin levels can cut that afterburn short. Recovery and rejuvenation are extremely important to the body, so sleep is something that is 100% necessary. When you’re sleeping your body is actively building and repairing the body as well as recovering your mental state. Taking rest days from the gym is equally as important. If you work yourself too often the body doesn’t have the time to repair and strengthen your muscle fibres before their being used again, which can slow your muscle gains or fat loss. You may also start to exhaust yourself and place stress on the body. Stress, just like lack of sleep and rest, can put the body into conservation mode, which preserves fuel and conserves power for the fight or flight response. Many different things in life impact stress, and reducing stress in any form can positively impact your body and keep your progress moving! For those trying to lose weight, diet is extremely important. Your eating habits should be centered around a caloric deficit. This means that you need to consume less calories that you need to maintain your current body weight. This makes sense, because you’re goal weight is less than your current weight. As much as simply keeping a caloric deficit can cause weight loss, ensuring you get all the essential nutrients in your diet and making healthier choices equal a smoother running digestive system and a happier body, which can speed up or increase the amount of weight being lost over time. For those trying to gain muscle mass, your diet is centered around a caloric excess, meaning you are eating more calories than necessary to maintain your current weight. There are different ways to bulk, but eating healthy instead of just consuming anything and everything to reach that high caloric amount is best for your body, and will help properly maintain muscle mass. Most healthy diets have a macronutrient ratio of high protein, moderate fat and low carbohydrate. Carbohydrates are not essential, and so they are the main macronutrient that is lowered in a healthy diet. They are used for energy by several organs (mainly your brain), so they are important in that sense, but much of your body can easily run on fat alone. Protein is essential, and it’s important to reach your daily protein intake to keep your body in good shape and of course, allow for muscle growth. Progressive overload is when you progress faster by increasing the workload on your body after a set period of time. When strength training, after a set amount of time your body will reach a plateau, which is when you are no longer losing weight and/or gaining muscle doing the same routine. For a beginner, strength training plateaus happen every 4-6 weeks, and so changing your routine every month and a half or so will prevent your body from getting used to a specific workout and becoming numb to its effects. For more advanced, the plateau time is shorter, closer to 3-4 weeks because your body is used to strength training and will take less time to get used to a new routine. For those who want to lose weight, our focus is mainly on diet. In fat loss, you will hit a similar plateau when your caloric deficit is no longer a deficit, because it is now the amount of required calories to maintain the current weight. Once you reach this plateau, it may be time to lower your caloric intake again. Increasing your activity can also create an added caloric deficit effect, as you need more calories to sustain more activity. It is healthy and natural to lose roughly 1-2 pounds per week. If you are no longer losing weight at that rate, it may be time to increase your activity or alter your diet. Cardio improves your lungs and heart’s efficiency delivering oxygen to your body and the removal of carbon dioxide waste. A combination of aerobic and anaerobic training is the best option for those who want to lose weight, but for those who want to gain muscle weight, less aerobic and more anaerobic training is better suited. Aerobic training is essentially training at a moderate pace/speed for longer periods of time, which activates the long term energy pathways in the body that burn fat as fuel. An example would be running on the treadmill or elliptical for a long period of time. Aerobic training can be done before or after a workout, but doing it before your workout can double its function by using it as a warm up, and if you’re doing muscle building strength workouts, you may be too tired to want to do cardio afterwards. Anaerobic training focuses more on very high powered activities, or a very fast pace/speed for a very short amount of time. This requires large amounts of carbohydrate energy, and burns more calories in a much shorter period of time. The effects of this type of training also last much longer after you’ve finished. An example of this would be HITT (High Intensity Interval Training) or sprinting. People who want to gain muscle mass often worry that too much cardio will burn away their muscle gains, which is why the timing and type of cardio is important. This combination of both types of cardio work stops your body from getting accustomed to the workout. Changing up the kind of work your body is doing often adds shock factor, which can kick the body and metabolism into high gear and push even more fat loss and muscle gain. Another great way to shock your body is to take classes. Classes are offered for many different fitness levels and are often fast paced and highly motivational, which can get you working harder than normal. Even though it may seem counterproductive to strength train, gaining muscle is not a bad thing. Since muscle takes more energy to maintain, the more muscle mass you have in the body the more fat you burn, both when you are exercising and when you’re not. This far outweighs any reason to avoid strength training. Strength training can tone the body and burn calories in the process. For mainly toning and maintenance strength training, the key is to do more reps when lifting. Toners should aim for a weight they can lift for 10-12 reps. Body weight and dynamic exercises are also excellent for strengthening and toning, and stringing a bunch of body weight exercises together with less rest can create an awesome high intensity cardio workout! For those who want to build large muscles as fast as possible, The best thing to do is to lift heavy, and I mean really heavy. The lower the reps and the heavier the weight, the more strength and power is built. Bodybuilders should aim for a weight you can only lift for 5-8 reps each set, though lifting that heavy also requires a lot of rest time to recover from the strong bursts of energy required to lift so much. Make sure you’re using active rest to your advantage, by working another muscle group while you are resting the one you just worked. Both dynamic and isolation exercises are great for bodybuilders, but many tend to focus on isolation. With dynamic exercises that use several muscle groups you can save time, as well as create balance and symmetry across the body. Isolation exercises focus on a specific muscle or muscle group, which can focus a lot of the weight and workload on that particular muscle to strengthen it faster. A combination of both can let you transform your body just the way you want it. There are many ways to progress, and this Ultimate Progress Guide covers the most important points so you can speed up your progression and keep it moving quickly over time. In general, a healthy body is a happy body, and when you have a healthy body, changes run smoothly. Drinking water, eating less sodium, eating more fibre, and taking supplements to improve your nutrition and health. Working with insulin by eating at specific times before and after your workout can speed up fat loss and muscle growth. Getting the proper amount of sleep, reducing stress and taking rest days allows for the body to recover, build and repair itself. For people who want to lose weight, a healthy diet with low carbohydrates, moderate fat and protein and an overall caloric deficit is very important. For people who want to gain weight, low carbohydrates, moderate fat and high protein with an overall caloric excess is important. A healthy diet is not 100% necessary, but is beneficial. 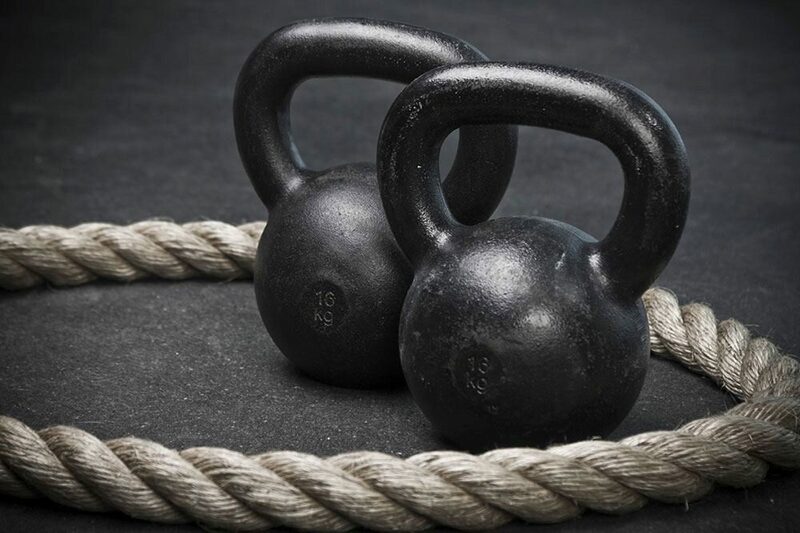 Progressive overload is used to predict and avoid plateaus in strength gain and fat loss. In cardio, aerobic and anaerobic training are both important for fat loss and muscle weight gain. For weight loss, both methods of training are good for fat loss, especially when combined. 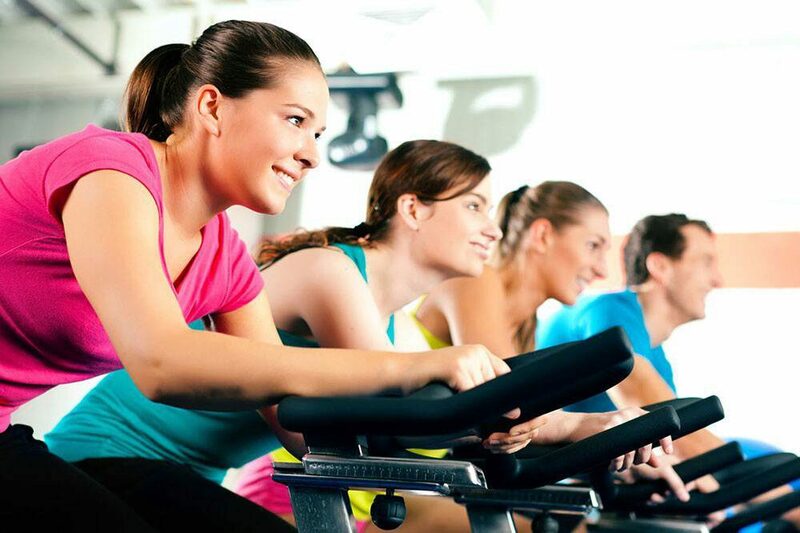 Aerobic can also improve endurance stamina and recovery time. For heavy strength training, anaerobic training can greatly improve power and stamina in high intensity strength training. Strength training for beginners or those who want to tone overall should aim for high reps (10-12) and use body weight and dynamic exercises. Strength training for more advanced or muscle builders should aim for low reps (5-8) and should use a combination of dynamic and isolation exercises to bulk and tone. Working hard and working smart brings progress!